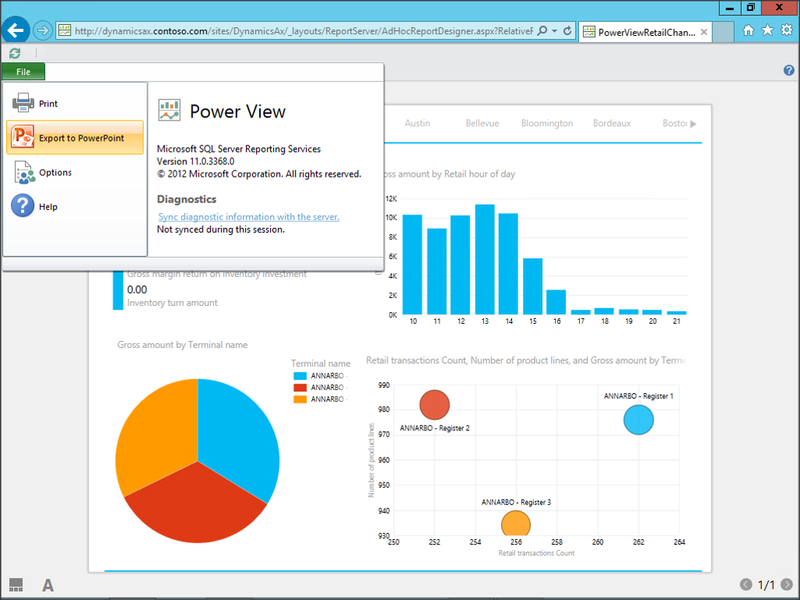 PowerView is a great tool for creating reports and dashboards directly from Dynamics AX, and is by far one of the cooler reporting tools that you can use. 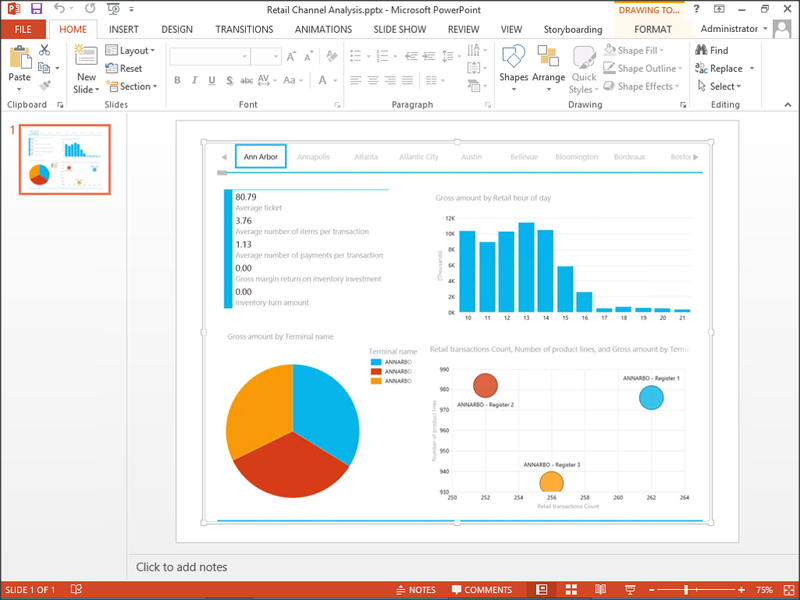 It has a very cool feature that allows you to export any of your saved dashboards to PowerPoint, and these reports become interactive when you go into SlideShow mode. 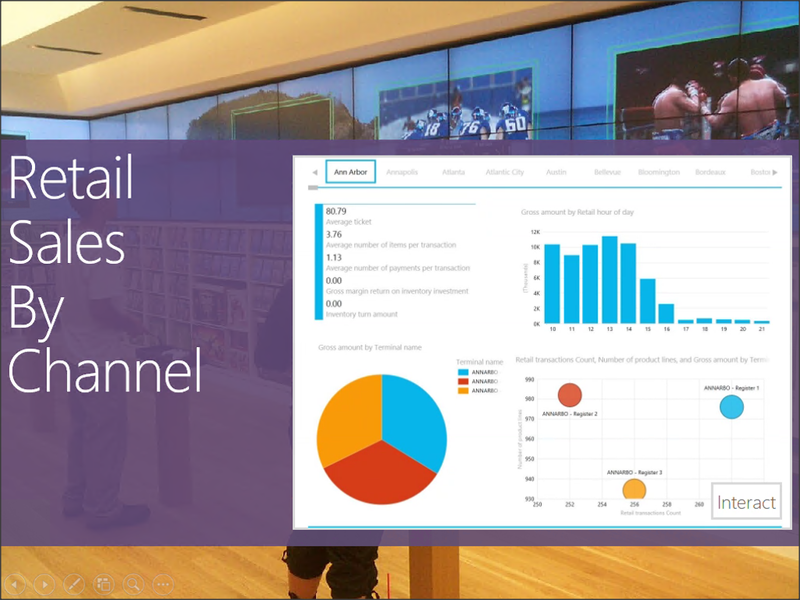 This is a great way to create template presentations that you can use over and over again and always have the most up-to-date data showing. Never again will you have to create 100 variations of the same sales report where the only difference is the customer account that you are reporting on. Open up the PowerView Dashboard that you want to export, and from the File menu, select the Export to PowerPoint menu item. 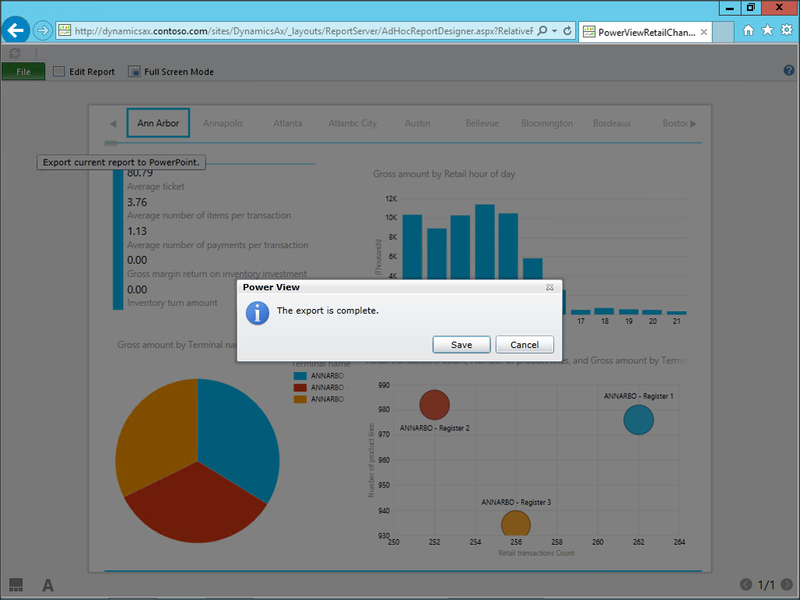 When PowerView notifies you that the export is complete, click on the Save button. 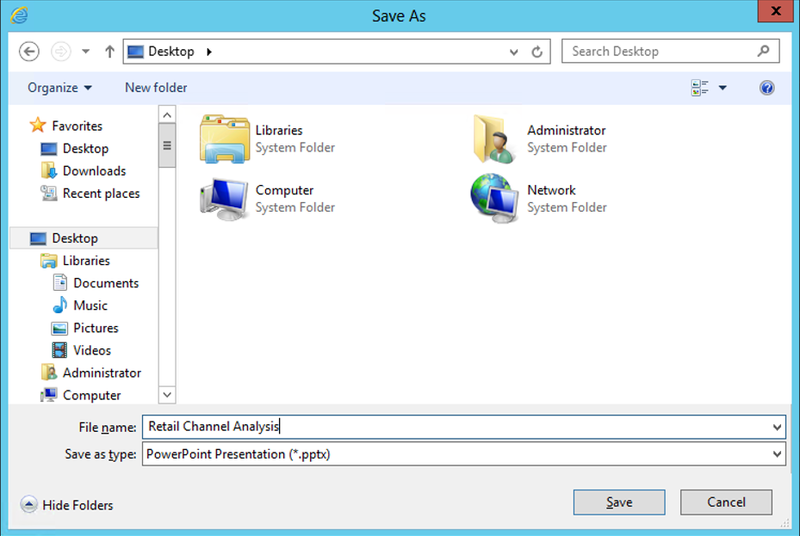 Now select the location and file name of the PowerPoint that you want to create and click Save. 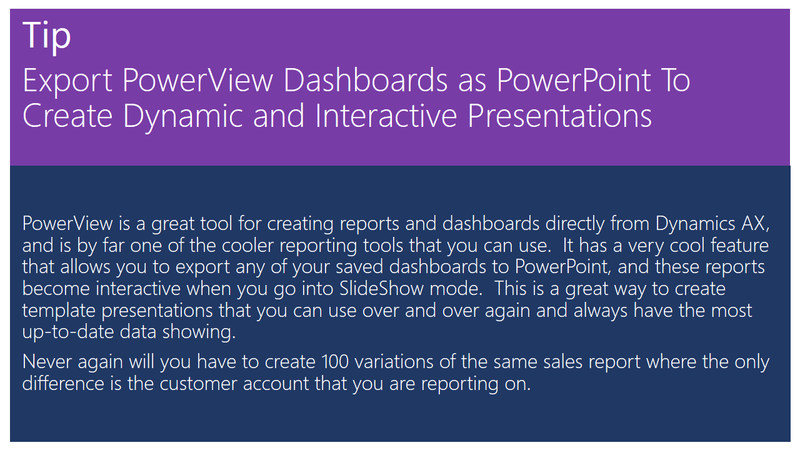 Once the PowerPoint file has been created, you should be able to open it up and you will see a static version of the dashboard has been embedded in the slides. 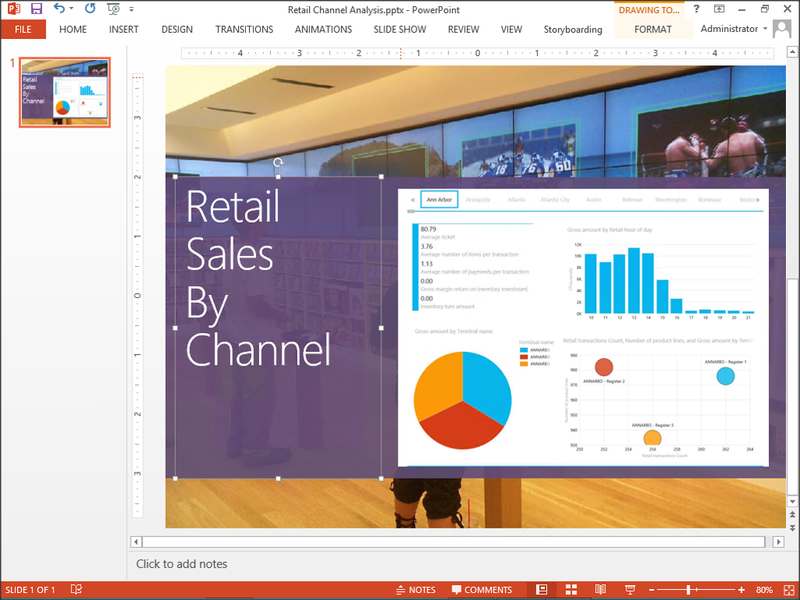 You can resize the dashboard, and also add any embellishments that you may like to make the presentation prettier. When you start the Slideshow mode, it will show the static view of the dashboard, with an Interact button in the bottom right corner, which you can click on. 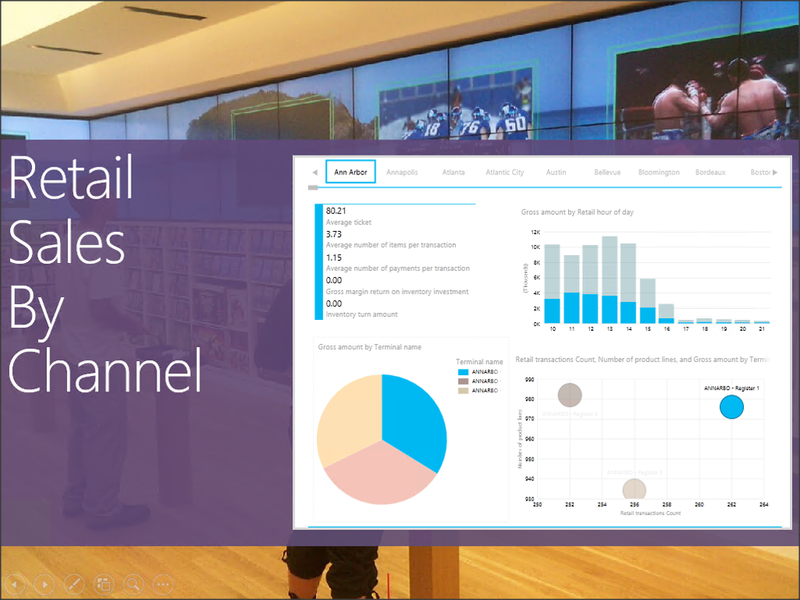 If you have rights to view the dashboard interactively, you can now drill into the data through PowerPoint as if you were browsing to it the traditional way.